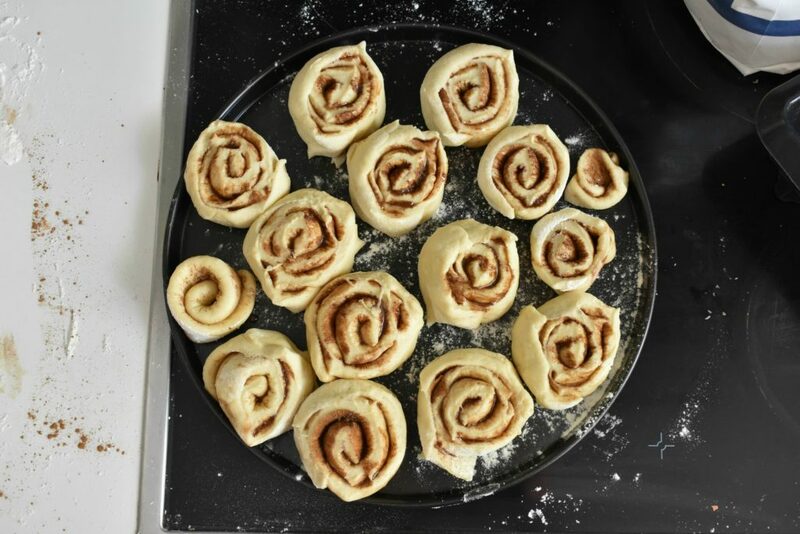 Cinnamon roll or cinnamon swirl? A light soft pastry filled with lovely cinnamon and all natural honey. Add dried fruits maybe some nuts and it’s done! We can be thankful for Sweden for many things like the Millenium series, Ikea, Volvo and their drivers and maybe a little known fact, cinnamon rolls. Yes, it’s not a coincidence that we can buy cinnamon rolls in IKEA. Those tasty little beasts, we definitely deserve after a long and struggling stroll in those enormous mazes called, shops. Given that, we don’t care what’s inside those things. Not like many other bakery would make natural ingredients cakes or pastries so this isn’t a problem of one particular shop. There aren’t bakeries with goals of creating the healthiest cinnamon roll possible on planet Earth. There are companies though, with mission of creating the perfect cinnamon rolls. 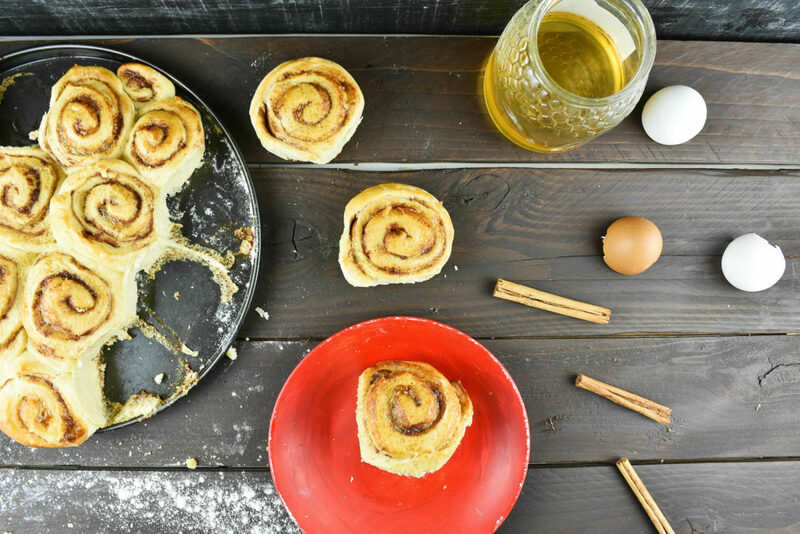 Yes, we are talking about the world famous Cinabon cinnamon roll recipe here. It’s a fun fact that in some countries, it isn’t called rolls at all but snail. It must be something to do with it’s snail shell like curves and not its taste probably. Cinnamon rolls surprisingly come in many varieties and shapes. There are cinnamon roll cakes that are not even remotely resemble rolls in any way but still called as one. Those taste equally delicious so can’t fret on those cakes either but seriously, why can’t we be a bit more creative in naming things. 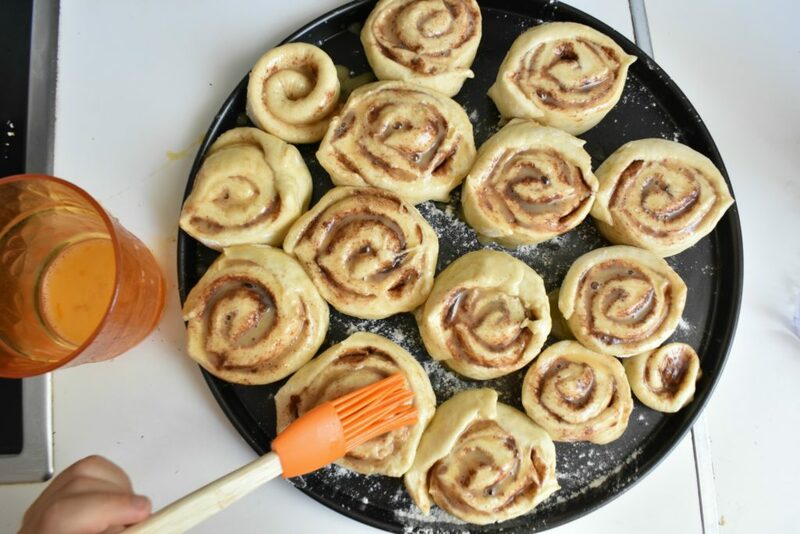 The filling is fairly consistent in all the types given, we are talking about rolls with cinnamon that can’t really be left out otherwise we should call them differently like chocolate roll. There are numerous ways to complement the cinnamon nonetheless. The most basic and popular method is applying a layer of frosting on top, giving the pastry a new perspective on top of the underlying sweet cinnamon taste. The filling also can be altered by adding various dried fruit or nuts to the cinnamon and sweetener mixture. 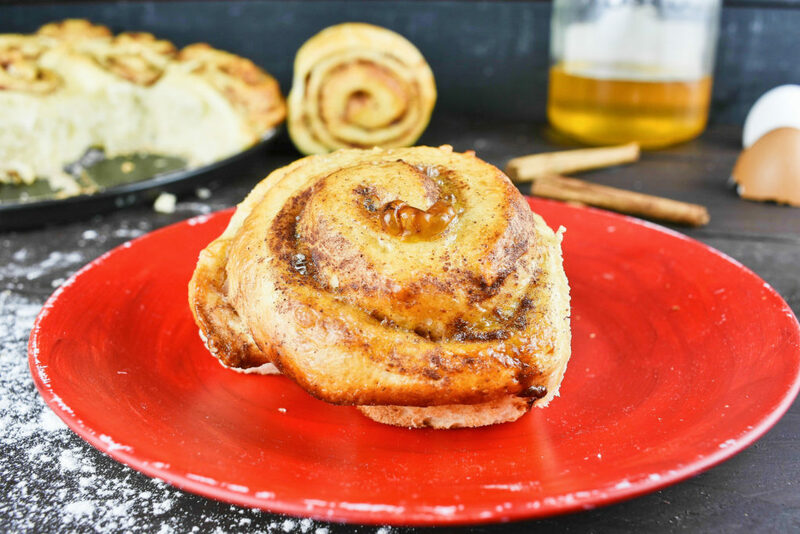 Dried fruits are especially a good idea when we are trying to make pastries without sugar or artificial sweeteners like this sugar free cinnamon roll. Natural sweeteners act a bit differently than the artificial ones so a bit of joy every now and than lights up our pastries. 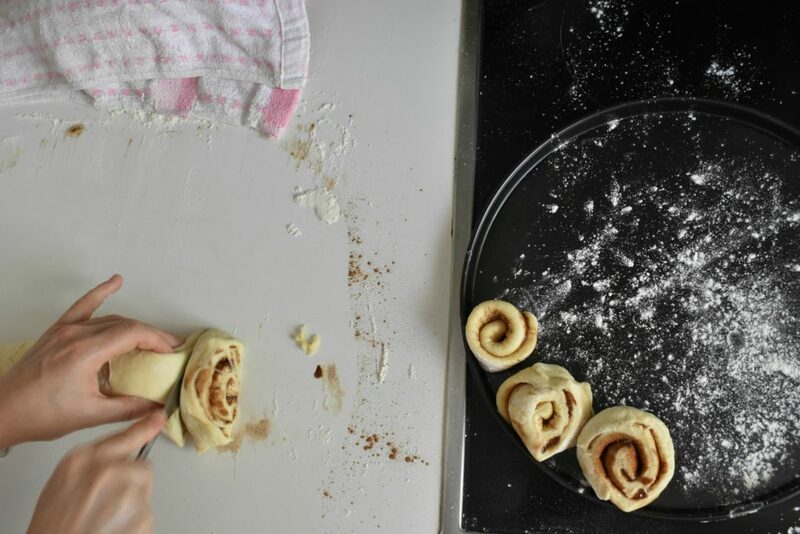 Making cinnamon rolls from scratch let us the freedom of using our favorite ingredients and flavors for filling and icing our pastry as no other shop can do. Sure enough, we can go with the classic “cinnamon with something sweet” option without being afraid of making some kind of mistake. Sprinkle the yeast into half cup of lukewarm milk. Wait until it gets foamy that shows the yeast is working. 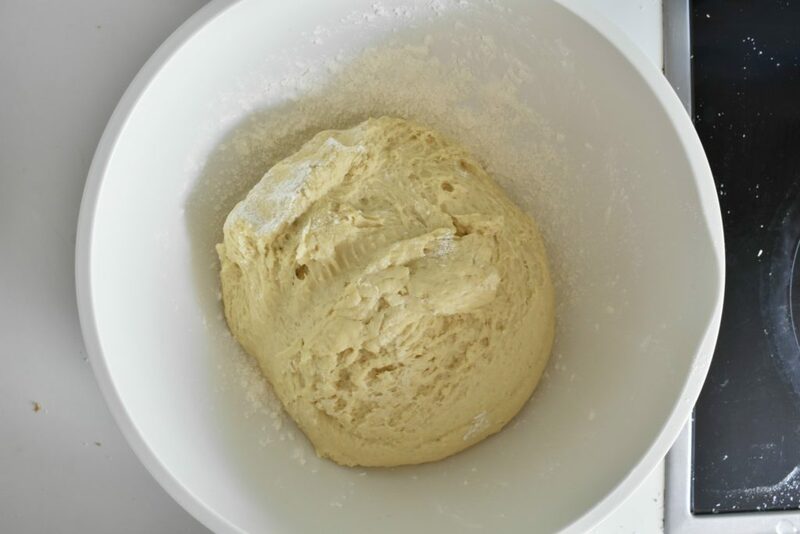 In the meantime measure and put flour, eggs, butter and the remaining milk into a large bowl. Pour foamy yeast and milk combo on top of it, too. Cover top with the lid or a plastic wrap and place in a warm spot for about 45 minutes. Yeast feeds and reproduces best between 70°F / 21°C and 80°F / 26°C. If the house is too cold, turn on the stove for a couple of minutes and put the bowl in and let it rise there. 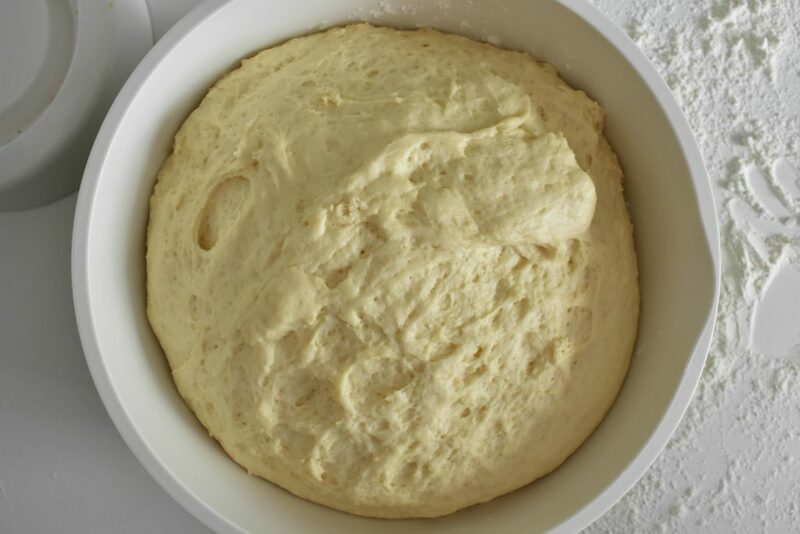 Roll out dough on a lightly floured surface to a 12″ / 35cm square. 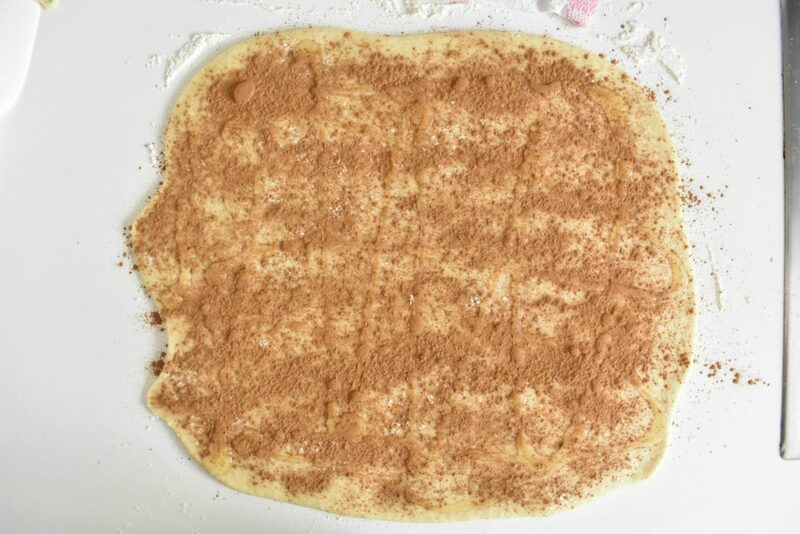 Use a sieve to sprinkle cinnamon onto the squared dough. Spread agave or the sweetener of choice on the top of it. Optionally, put some raisins on top to give it a better taste. 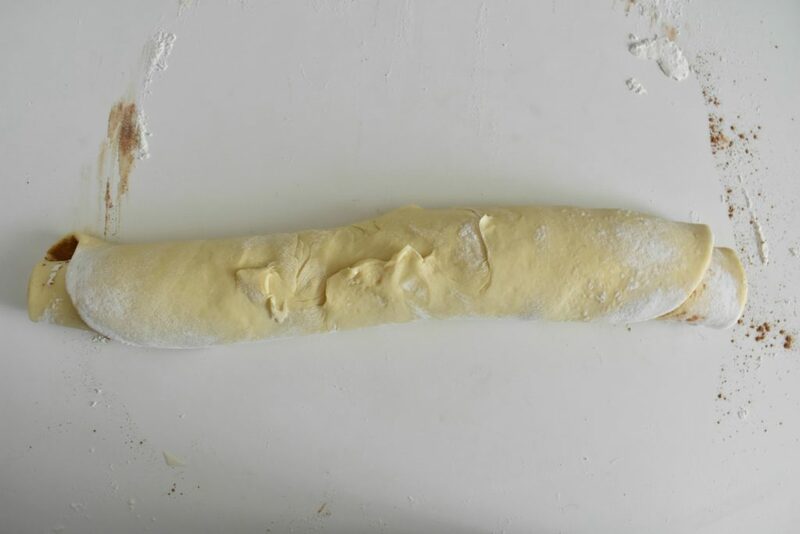 Tightly roll the dough into a log. Cover and let them rise for another half an hour. Brush the rolls with egg yolk before placing them into the oven. Bake for about 25-30 minutes (depends on the oven) and take them out when they have a nice golden color. Enjoy this marvelous afternoon snack with tea or coffee. Let it lighten up the gloomy winter evenings. 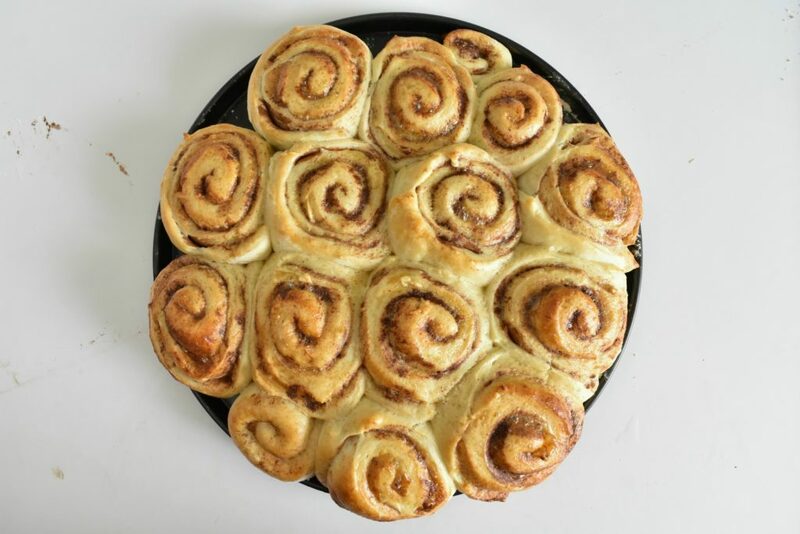 Cinnamon roll or cinnamon swirl? 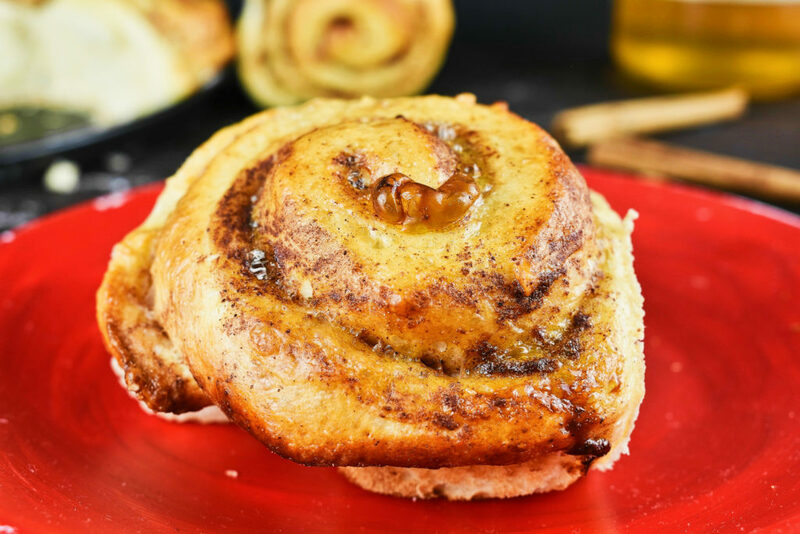 A light soft pastry filled with lovely cinnamon and all natural honey. Add dried fruits maybe some nuts and it's done! 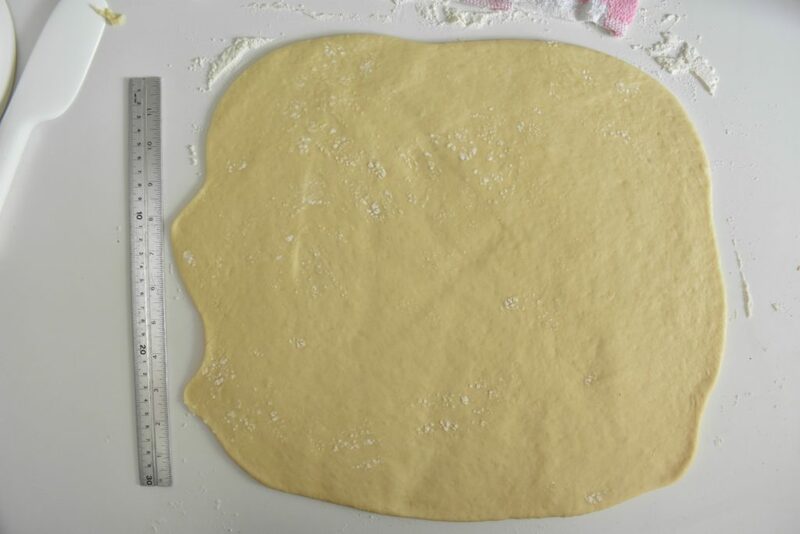 Roll out dough on a lightly floured surface to a 12" / 35cm square.